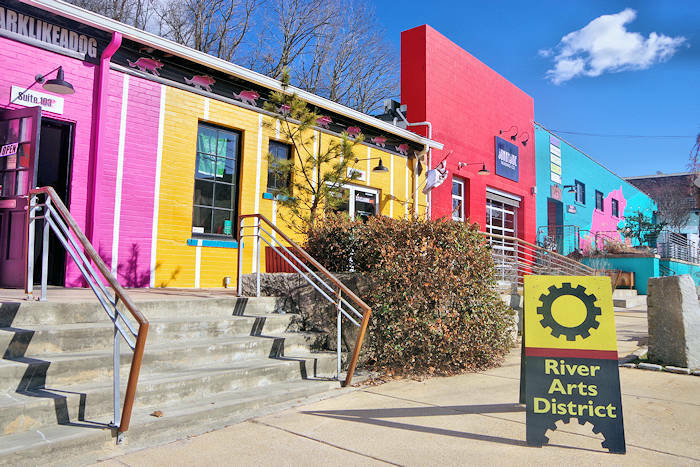 Located in the River Arts District, 310 ART is just two miles from downtown Asheville and Biltmore Estate. It is the oldest and most respected art school for adults in the Asheville area. Select from a big variety of painting classes and lessons, ranging from single day workshops to multi-week series. No experience is necessary! These fun, small classes are taught by 9 local accomplished artists and 3 traveling published artists. Their students travel from throughout the country to attend their classes. They also offer flexible class schedules if you want to sign up for a series. Since they have small classes, book early since they usually sell-out! Perfect for a girlfriends' getaway too. 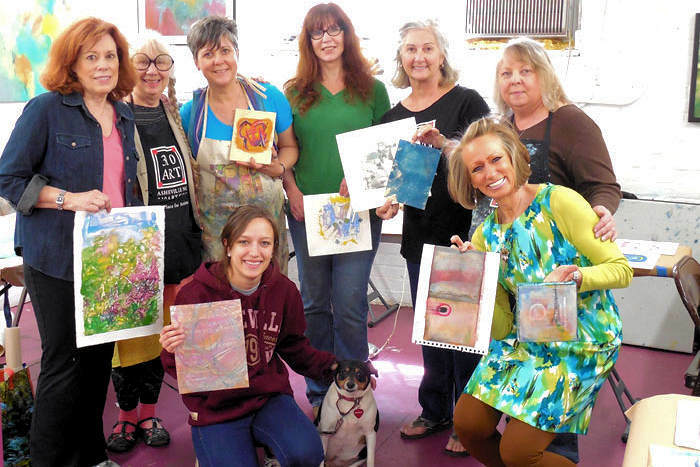 Day & weekend workshops in oils, acrylics, watercolor, inks, mixed media, printmaking, encaustic, bookbinding and more are held throughout the year. Find choices for both beginners and advanced students. Weekly Studio Classes in painting and drawing instruction include their Marvelous Monday Studios and Watercolor Wednesday evenings for just $27/class. Choose your project and get guidance and tips from your teacher. 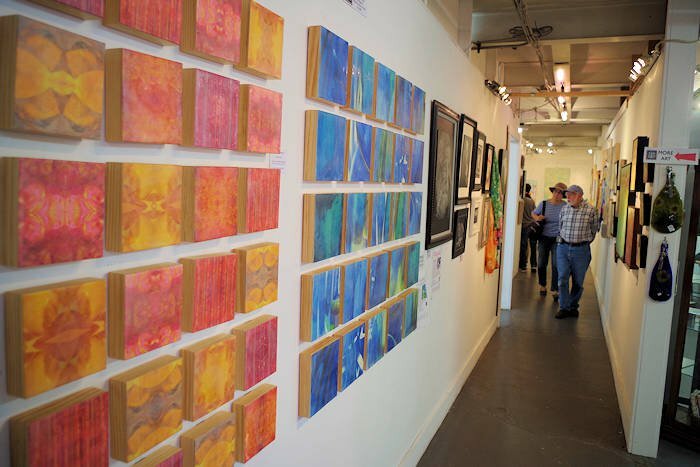 Their encaustic and cold wax program is the largest and most comprehensive in the Asheville area, with a focus on contemporary and cutting edge methods and mediums. Create beeswax infused journal pages, make wall tiles, incorporate mixed media, watercolor and nature printing into work you make yourself. You can even create encaustic pendants. Here's just a sampling of fun class topics at their art school. Go to their Web site to see the current workshop line-up at 310 ART. Located next door to the 310 ART is The Village Potters Teaching Center with pottery and ceramics classes for adults, demonstration and hands-on workshops and an intensive Independent Study and Mentoring Program. Learn from resident potters who enjoy sharing skills, techniques and hands-on experiences. Take your pots to the next level with he Masters Series, 1-2 day workshops with accomplished potters. Single day workshops include Raku Saturdays. 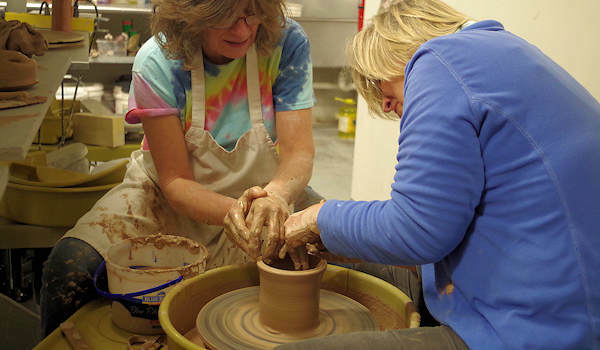 They love beginner students and will help you create the experience that you are looking for, whether it's an afternoon at the potter's wheel or signing up for a series of classes. Go to their Web site.